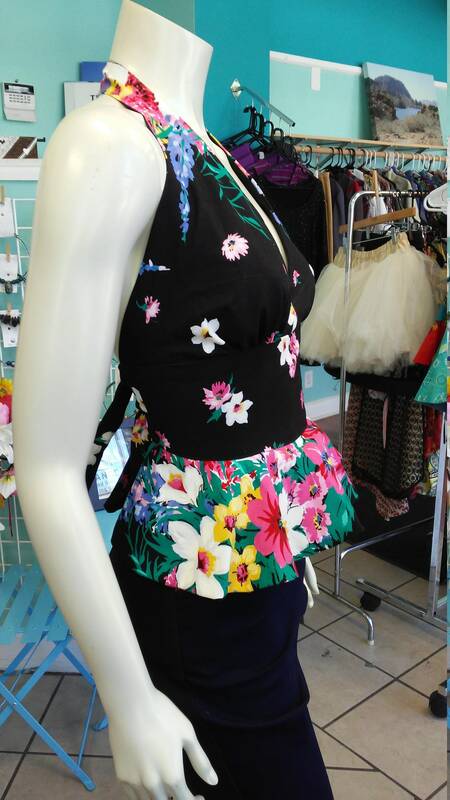 Ultra flattering and a flirty fit, this floral halter top is as fashionable as it is comfortable. 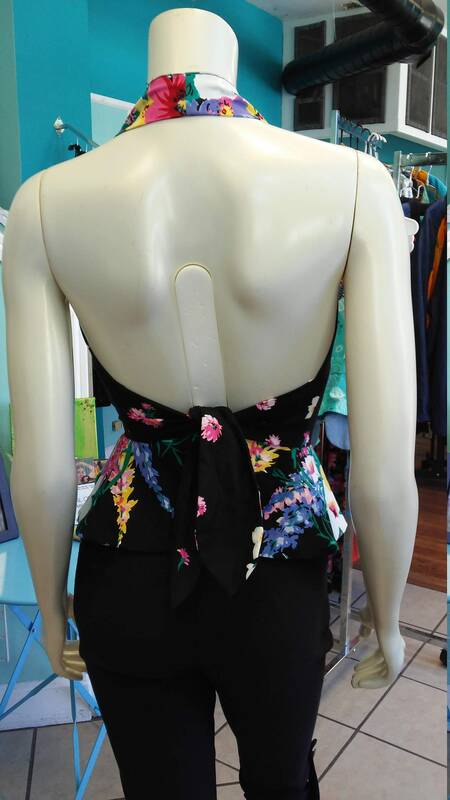 Halter bodice slips around the neck, and has a beautiful open back, you’ll make a statement entering and exiting a room! Midriff cut. 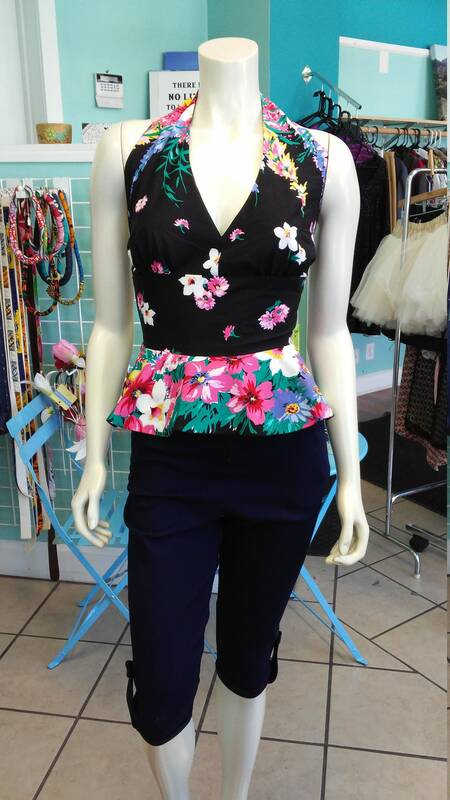 Circle peplum and tie back. 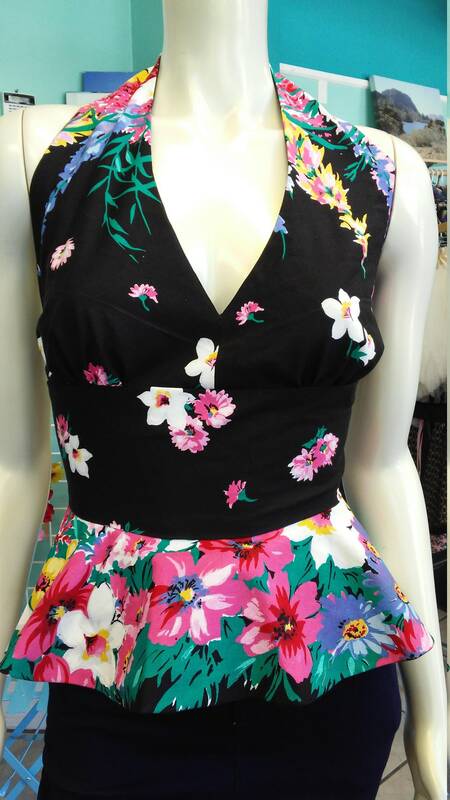 Made from a striking and graphic black floral vintage cotton print with gladiolas. Machine wash cold.